We wanted to share a recent customer review of a KLINE decatted exhaust on their Porsche 997.2 Turbo S and their comparison with a Europipe exhaust. Had some fun with a set of BETA VTT Stage 2 turbos on Wednesday night and here are the numbers. The tune is running 21psi peak down low, 20psi at 6k rpm, 19psi at 6200rpm, 18psi at 6500rpm, 16.6psi at redline. Timing is in the range of 10.5 to 11.5deg peak without any hint of timing corrections all the way through. This was on pump 94 octane from Petro Canada (formerly Sunoco) running the Aquamist HFS-4 setup with two 1mm nozzles and 100% meth. According to short term trims the DME is pulling out 25% through trims with two 1mm nozzles so we could probably dial it in a bit better by dropping one of the two 1mm nozzles to a 0.9 or a .8mm instead. Numbers look really nice and the most this car has ever made on pump and meth so far with this much timing and boost. Boost wise there isn’t any more to be had up top but we expect there’s possibly another 2-3 degrees left in there on race gas. Design wise these turbos should be close to what the next Stage 2 Batch 2 setups end up looking like from Vargas Turbo Technologies. The actual Stage 2 Batch 2 dyno numbers will be published with our tuning once they’re ready and installed for testing on the the new VTT shop test car. Wanted to share what I think is another key milestone in N54 tuning. Yesterday we managed to use Cobb to control an external Tial wastegate entirely, without piggyback involvement and make some good numbers. Boost control had to be redone from the typical way its done for internally wastegated vacuum operated turbos such as OEMs and any stock frame hybrids. We stopped at these numbers as the HPFP pressure literally nosedived near redline to 600psi from 2000+psi targeted so we’ll be looking at the usual fuel capacity boosters and a couple things that I haven’t heard of being tried yet. We’re SUPER happy having completed this with boost control that is so spot on. 10psi (to overcome the wg spring before any duty cycle is needed on top of it to reach higher boost) is reached at 4200rpm in 4th gear on a non-load bearing Dynojet. Super excited about our recent tuning outcome with one of our local tuning customers. Joe’s 2012 BMW 335is with the DCT (Double Clutch) transmission is simply put, a stock turbo beast. The transmission is built with upgraded clutch packs from SSP Performance. We did our best to fully customize the Pro Tune on this N54 to take full advantage of the provided octane and methanol/water injection. Just wanted to share my story about my DCT build and my WR Dyno. This is not intended to start a tuning war or to make anyone look stupid *cough*cough* 135 pages of garbage. For starters I drive a 2012 335is with a DCT transmission, I began the build like every other enthusiast out there would, with a tune (JB4 to be exact). It later became FBO + meth + Protune with an upgraded clutch pack. As I mentioned the car originally ran the JB4 G5 iso + BMS flash. I will never put down the BMS name as I believe that they deliver a sound product and top notch customer service, but it just wasn’t what I needed. The trans started encountering clutch slippage late last year while using any meth additive over 45 or being on map 7. The car gets beaten regularly and hits the strip at least once a month during the summer. It started off with some slippage during WOT shifts and later into not even being able to hold any power in the RPM range and sending the trans into a limp mode. Since I’m located up in Canada and don’t drive much during the winter months, I called up Kris@ssp to discuss a possible clutch disc replacement. I was skeptical at first since theres a huge thread on how it doesn’t work, but I took the leap of faith anyways and pulled the trigger on the new SSP 16 plate clutch pack.Boy i’m I happy now for not listening to sticky. Kris hooked me up with a local DCT master technician who fly’s all over the world to upgrade GTR and Lambo clutches steve@SJL. In other words I was in great hands and I cannot thank Kris and Steve enough for the countless hours spent making my baby run how it should. There was a short trial and error period but as of Saturday May 4th, my car was finally done. The technician advised me to go the flash route as the BMW TCU gets all its values directly from the ECU and tricking it with a piggy was affecting various systems/sensors (mostly load related) within the TCU. Earlier this month I got a hold of PTF, who are local to me and told them what I was trying to do. I then purchased the pro tune + the HFS4 and WOW what a difference it is to drive. The car just goes, its hands down exactly what I wanted from this project when I started. PTF are amazing! 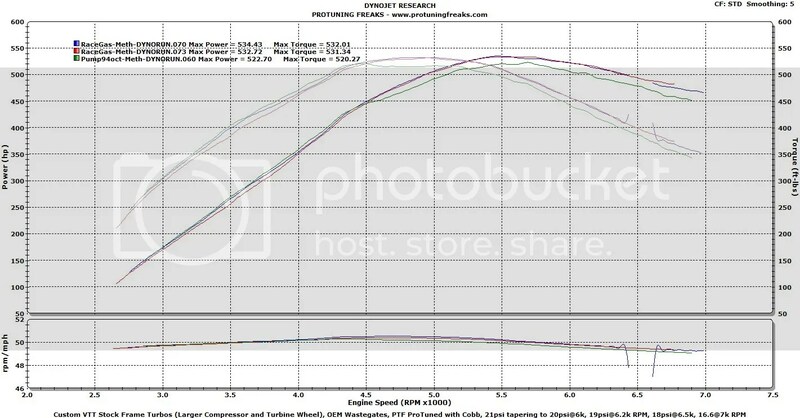 I did both a road tune and a dyno tune and I can honestly say if your looking to bring your car to the next level I believe PTF is the way to go. It feels incredibly smooth and when needed it pulls like a freight train. The car currently runs 3 maps; one is a DD that is customized for 94+meth with conservative boost and timing. The next map is more aggressive running 94 + 100% meth and last but not least a map made strictly for race gas + meth. Going back towards the DCT build, I would consider myself to be a complete noobie regarding the DCT trans. I know about line pressure and the discs itself but after that its like solving a rubix cube. So for more information on regarding the upgrade, I ask you to please email Kris@SSP. I believe anyone trying to push big power with a DCT should give SSP a call and order these clutches. I’ve put on 1600 hard miles on them and not a single blip yet, the shifts are a tad firmer but still very comfortable for DD. I’m planning on getting a turbo upgrade by mid summer and well defiantly keep all of you posted. I intend to push the trans has hard as possible!! The numbers below speak for themselves, consistent power pull after pull. We tried to hit 500tq but we didn’t want to put to much stress on the turbos. Since I cannot dig up my baseline, I wanted to let you guys know that a FBO g5iso + bms flash on 75 additive went on after me and put down 425/485 nemo . I’ll be hitting the track later this month with PTF , watch out buraQ. Just waiting for my AD08s to come in, I truly believe this car can go deep into the 11s with its setup now. Video’s…time slips and 60-120 runs will be posted later this month, just incase some of you don’t believe it works. Do yourself a favour and contact PTF to get a fully customized map, I promise you wont regret it. Much thanks PTF, SSP, SJL, columbusautomotive and all the boys part of JBC!! !